Gareth Southgate addressing the media ahead of the UEFA Nations League match against Spain. England coach Gareth Southgate said the Premier League's early start was a factor in some of his players lacking sharpness or suffering from injury and questioned why the season began less than a month after the World Cup final. The English top flight was the earliest of the major European leagues to start this season, kicking off on Aug. 10, a week before Spain's La Liga and Italy's Serie A and a fortnight ahead of Germany's Bundesliga. 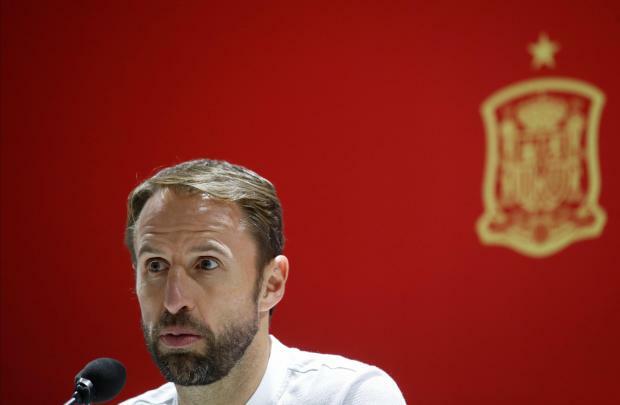 "I don't understand why our league started so early but it did and it's a really difficult situation for the clubs," Southgate said in a news conference on Sunday ahead of England's UEFA Nations League game away to Spain on Monday. "Some couldn't field a team. Look at Tottenham, they had so many players in the semi-final and they had to put players straight into matches, it's an impossible situation for the coaches really." "I think it's a lack of psychological freshness rather than physical," added Southgate. "When you look at the league, there's a lot of teams that have got going yet; there's been lots of injuries." England are joint bottom of Nations League A Group 4 with Croatia, on one point, following Friday's 0-0 draw between the two sides, making Monday's game against group leaders Spain vital to their bid to avoid being relegated to League B.
Southgate is without defender John Stones and midfielder Jordan Henderson through suspension and said Joe Gomez and Harry Winks would come in for the two absent players, adding that he was not overly concerned about his team's inability to take their chances against Croatia despite dominating the play. "No, the concern would be if we weren't creating chances. The most important thing is that we were dangerous, looked a threat and got in good positions to score goals," added Southgate. "With the players we have got, if we continue to create those chances, they will score them."